We are proudly the only florist in Boston, and the Boston area, that is open 365 days a year making deliveries up until 8pm. 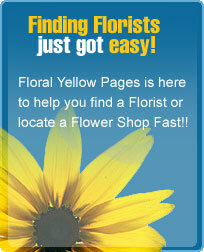 We also have the largest selection of roses, exotics, dutch flowers, and tropical plants in the area. Reliably serving the Boston area for over 30 years and looking forward to many more. Full Service Florist. Satisfaction Guaranteed. Family owned and operated with over 25 years of floral experience. Flowers for all occasions and budgets. Distinctive designs are created here. Serving all hospitals, funeral homes, and colleges. Full Service Florist. Satisfaction Guaranteed. Family owned and operated since 1953. Specializing in unique and custom designs. Flowers for all occasions and budgets. Serving all hospitals and funeral homes. OPEN 7 DAYS A WEEK WITH FREE SAME DAY DELIVERY. Family owned and operated for over 20 years, with 2 locations. Specializing in all floral arrangements. Large selection of roses, exotics & plants. Please visit us at Facebook/BostonBlossoms or on instagram at #bostonblossoms. Full service florist. Satisfaction guaranteed.Family owned and operated since 1903. Specializing in unique and high style custom arrangements. Something for everyone's taste and budget. Serving all hospitals and funeral homes. Full Service Florist. Satisfaction Guaranteed. Family owned & operated for over 25 yrs. Specializing in unusual and exotic arrangements. Large selection of Holland, different color roses & exotic arrangements. Something for everyone's taste and budget. If you can imagine it, we can design, create and deliver it. We also carry balloons, gourmet & fruit baskets, & flowers for all occasions. Wedding specialist on premise. Full service florist. Satisfaction Guaranteed. Independently owned & operated for over 20 yrs. Specializing in high style and unusual custom arrangements. If you can imagine it, we can design, create, & deliver with a smile. Something for everyones taste and budget. Serving all hospitals & funeral homes. Full Service Florist. Satisfaction Guaranteed. Family owned and operated for over 75 years. Specializing in unique and high style custom arrangements. We have a large garden center with a vast selection of flowering plants. Serving all hospitals, colleges, and funeral homes. Full Service Florist. Satisfaction Guaranteed. Famiy onwed and operated for over 20 years. Sepcializing in unique and custom arrangements. Something for everyones taste and budget. Open 6 days a week and will deliver on Sundays for funeral work and emergencies. Serving all hospitals, funeral homes, and colleges. Full Service Florist. Satisfaction Guaranteed. We are locally owned and operated for over 30 years. All flowers are of the highest quality including our large selection of long stem roses. We	stock 16 of the most beautifully colored roses, which are hand selected on a daily basis in order to provide our customers with absolute satisfaction. Specializing in unique and custom designs. Flowers for all occasions and budgets. Serving all hospitals and funeral homes. Wedding specialist on premise.